Gaskins’ original discipline, surveying, has been the backbone of our company since 1976. Decades of reliable service have provided value-driven solutions for our clients. Today, Gaskins Surveying uses the latest technologies to deliver the highest level of survey accuracy. Our latest additions include sophisticated drone surveying capabilities for a more comprehensive assessment of project sites, high-resolution photos, and large-scale mapping. Our employees include more than 14 field crews and six full-time, licensed surveyors. As-builts of Utilities, Stormwater Maintenance Facilities, Roads, etc. After the historic flood in September 2009, Cobb County Water System staff set goals of identifying damage and working closely with FEMA staff. 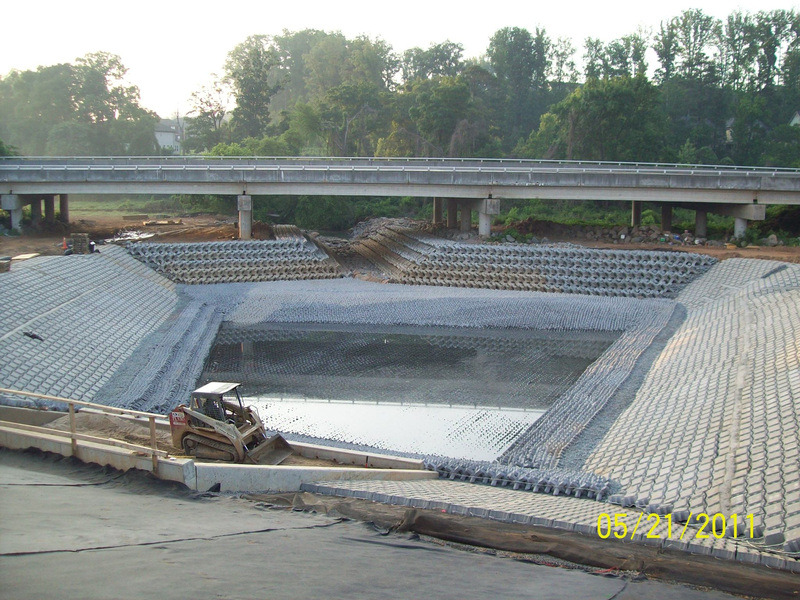 The purpose of this project is intended to lessen the effects of storms on downstream properties along Noonday Creek by reducing channel degradation and flooding frequency. Gaskins provided survey control points and a field-run topographic survey of existing conditions, as well as a continuous topographic survey of excavated soils and fill materials for dirt quantities. Work scope also included relocating a 36-inch sewer line, providing layout control and construction staking of the outlet control structure, stake site grading of the dam, access road, and creek relocation, and as-built of dam and utilities. 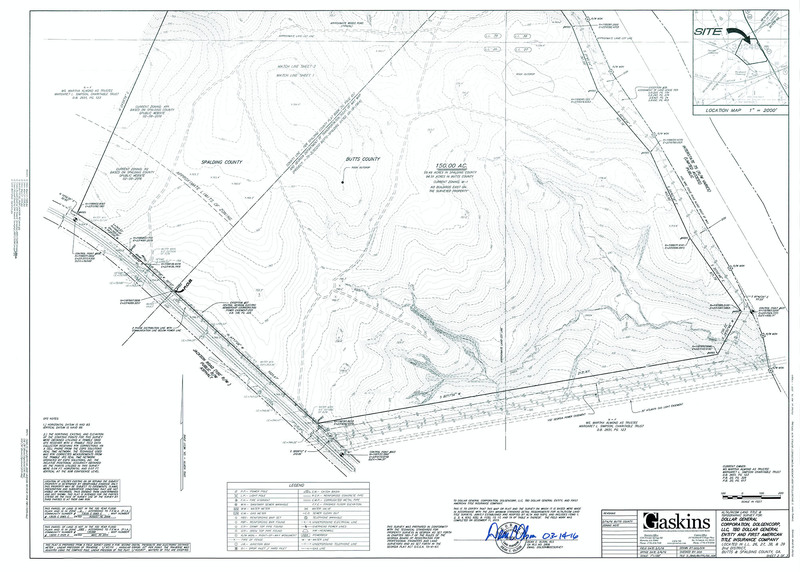 Gaskins performed a boundary and topographic survey of a 150-acre tract for a parcel crossing two county lines – Butts and Spalding. The work included extensive deed research to ensure the correct location of the County line, power rights-of-way, Interstate 75 right-of-way, and local public roads. Also, the location of rock outcrops and other significant features was provided to aid in the engineering design for this tract of land.